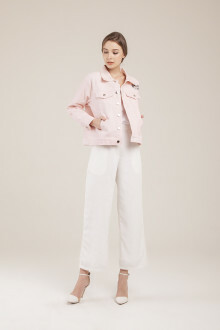 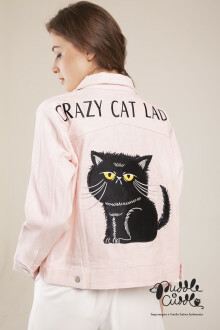 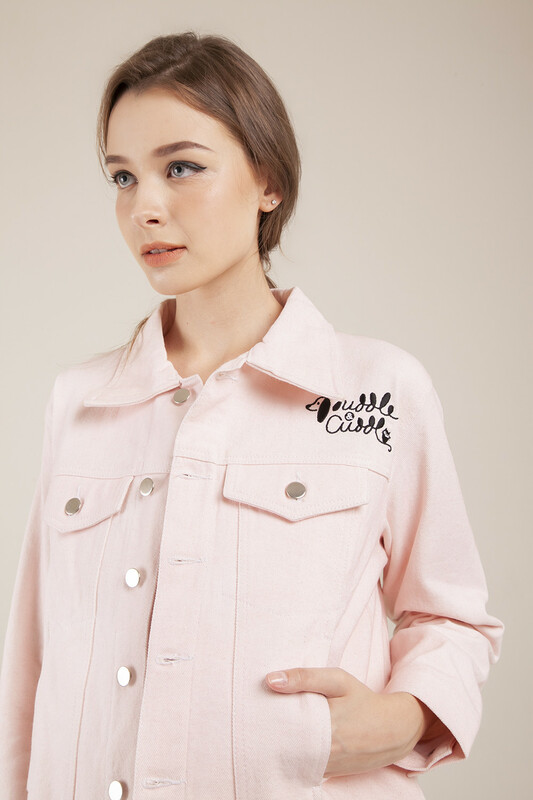 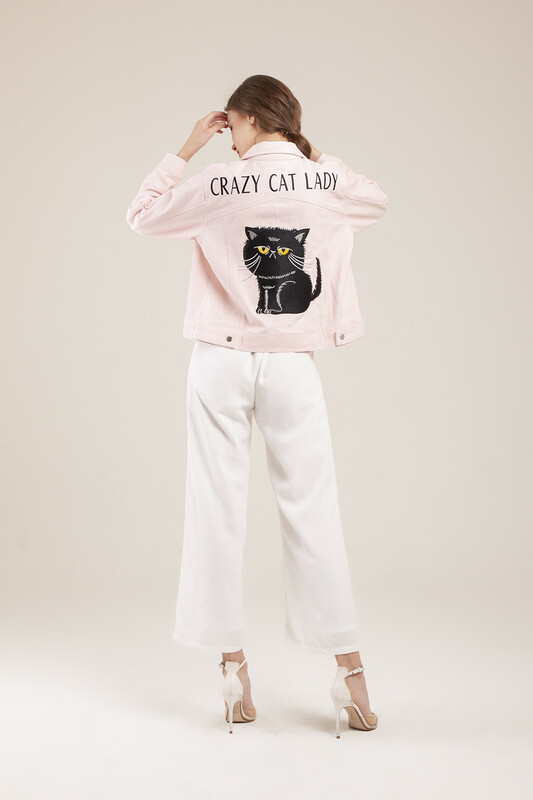 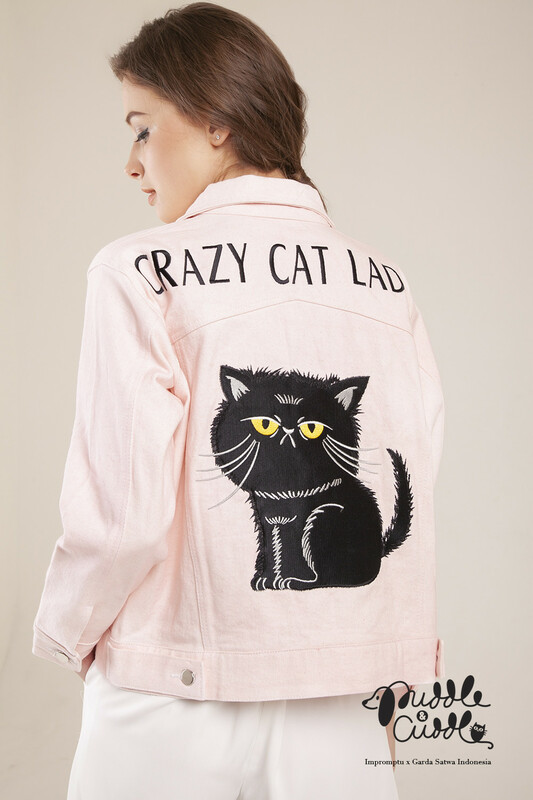 Oversized washed denim jacket with cute Cecilia's illustration at the back. Comes with front button opening and side pockets. For you super cool die-hard cat fans!